A toy drive is underway to fill the Brookside bus with gifts – any new unwrapped toys are being collected for the family shopping day at ECKAN. 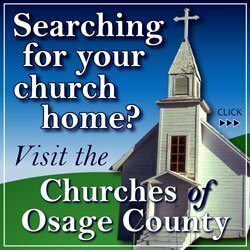 Toys are being collected now through Dec. 10 at various drop-off locations at Osage County Dollar General stores, Brookside, Overbrook City Hall, and other Overbrook locations. The Santa Fe Trail High School Choir is selling poinsettias to help fund a choir trip to St. Louis. These beautiful flowers will add holiday cheer to your home and make great gifts. Poinsettias may be purchased at Overbrook City Hall, or order by calling or texting Lari Jarrett at 785-424-3954. Come to the Overbrook Methodist Church 7-10 a.m. Saturday, Dec. 8, for a hearty breakfast. Rotary is serving all you can eat pancakes and sausage with orange juice, coffee, and milk, for a suggested donation of $5. Proceeds support community and organizational events of the Overbrook Rotary Club. Come one! Come all! To the Overbrook Community Christmas Program. Santa will be there! There will be free hot chocolate and cookies donated by the Friends of the Library. Enjoy listening to holiday music by the Santa Fe Trail High School Choraliers. Hop on a wagon ride. All gather together at the Overbrook Public Library at 6 p.m. Saturday, Dec. 8, to celebrate this wonderful Christmas Season with family, friends and loved ones. Everyone is invited. The Overbrook Library Foundation presents “A Christmas Carol” Radio Play performed by The Small Town Drama Club at 7 p.m. Friday and Saturday, Dec. 14 and 15, at the Overbrook United Methodist Church, 1005 Maple St. Tickets cost $5 with the dessert reception included. Purchase tickets at the Overbrook Library or at the door. Come enjoy homemade soups from 5:30-6:30 p.m. prior to the play for a freewill donation. 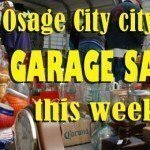 For more information, call Debra Jones, 785-224-3616. Oak Street Plaza residents’ council will meet at 10:30 a.m. Thursday, Dec. 20, at Oak Street Plaza. Nancy Lee-McQuillan will be there. Cold weather is upon us and now is the time to think about cold weather safety. Check your furnaces and heaters now to make sure they are in proper working condition. If using gas or propane to heat, have an experience heating and air technician check for leaks or blockage to prevent carbon monoxide poisoning. The same goes for those who heat with wood fire furnaces and fireplaces. In your car, keep extra blankets, candles, a flashlight, matches or lighters, snacks and water in case you get stranded. Make sure your car is winter ready. Check the oil, coolant, and tires. Do you need new tires? Having bald tires is a surefire way to end up in the ditch somewhere. Make sure your car battery is in good shape and before heading out for a trip, make sure the gas tank is full. Put a couple bags of kitty litter in the trunk or the back of the vehicle. Kitty litter is great for traction if you get stuck. At home, make sure medicines have all been filled before a winter storm. Do you have plenty of food and water? If power goes out for an extended period of time, chances are that the stores will also be closed. Last, but certainly not least, keep off the ice. Drownings and hypothermia are very real dangers. There are creeks nearby and even City Lake that can be death traps. There are signs around the City Lake reminding people to stay off the ice. Don’t Overlook Overbrook T-shirts have been selling “like hot cakes!” Don’t forget that we have youth sizes, too. They make great gifts – on sale now at Overbrook City Hall for $20. Proceeds go towards renewing the city mural. Need help getting to the grocery store, picking up your medication, getting to your doctor’s appointments, or just wanting to go shopping? 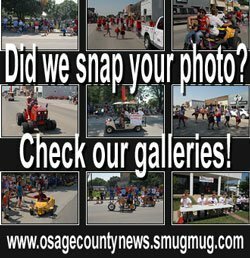 Call Osage County General Public Transportation at 785-528-4906. 2019 Pet Tags are now available at Overbrook City Hall for dogs and cats. These tags help the city to reunite pets and their owners if separated. The city staff does its best to get lost pets back to their owners. The cost is $5 for spayed and $10 for unsprayed pets. All that is needed is proof of rabies vaccination. On Nov. 14, 2018, Santa Fe High School students and their teachers braved the cold to help the Overbrook community. With rakes, brooms, and trash bags in hand they assisted four senior citizens who requested help with their yard work. They also helped clean up downtown, around the lake, and the ball fields. We so appreciate their hard work. Their efforts really make a positive difference and helped to kick off the holiday season with a sense of pride and good will. You’re all pretty wonderful! Aren’t they pretty? We sure do appreciate the efforts put forth by the betterment committee and our city maintenance crew. We think you’re great!